Two recent pronouncements from the NLRB are the latest examples of the agency’s ongoing effort to make union organizing easier. First, the NLRB issued its controversial decision in Browning Ferris Industries, adopting a new, broader definition of “joint employer” under the National Labor Relations Act. Under the new definition, two or more businesses can be considered joint employers for purposes of union organizing “if they share or codetermine” matters concerning “the essential terms and conditions” of employment. This new definition could have a major impact on union organizing for companies that hire workers through temporary staffing agencies or other suppliers of labor. The decision has generated much controversy and discussion, with some experts fearing that the ruling will be extended to cases involving traditional subcontracting or franchisor-franchisee relationships. The 3 – 2 decision will likely be appealed. For more information, click here and download a copy of our full alert. Second, on September 1, 2015, the NLRB’s General Counsel issued a Guidance Memorandum declaring that unions no longer need to obtain handwritten signatures by employees on authorization cards in order to establish the necessary “showing of interest” to secure a representation election. Instead, unions may now obtain electronic signatures on an electronic version of an authorization card. 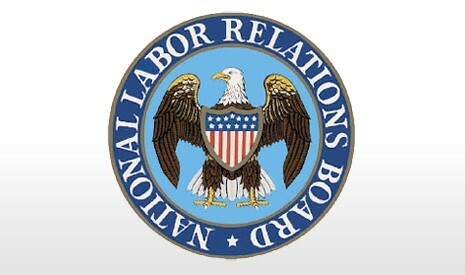 The NLRB will be satisfied so long as the electronic submission is dated and contains (a) the signer’s name and telephone number; (b) the name of the employer; (c) the signer’s email address or other known contact information, such as a “social media account”; and (d) language indicating that the signer wishes to be represented by the union. In light of this change, unions will no doubt begin using email and social media to solicit binding “reply” messages as evidence of employee support. To view the Guidance Memorandum, click here.